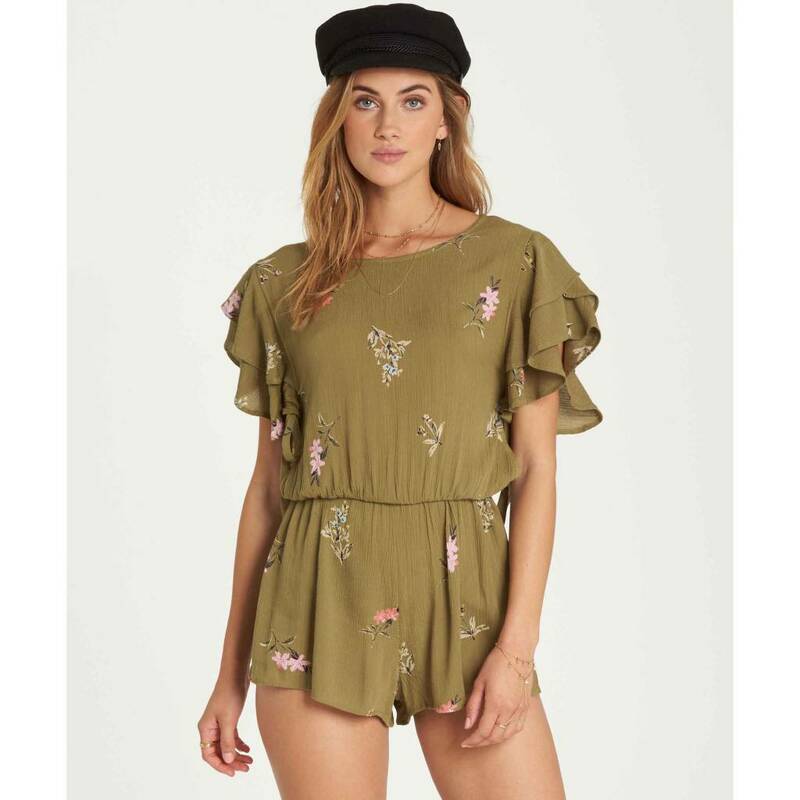 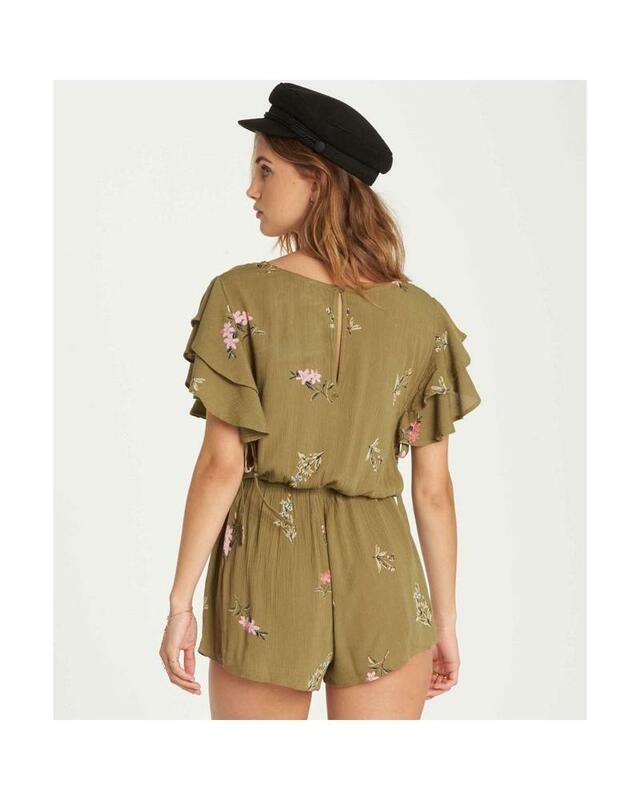 A find for the wildflower, the Heavenly Fields short romper features an allover print, topped with flutter sleeves for an extra dash of whimsy. 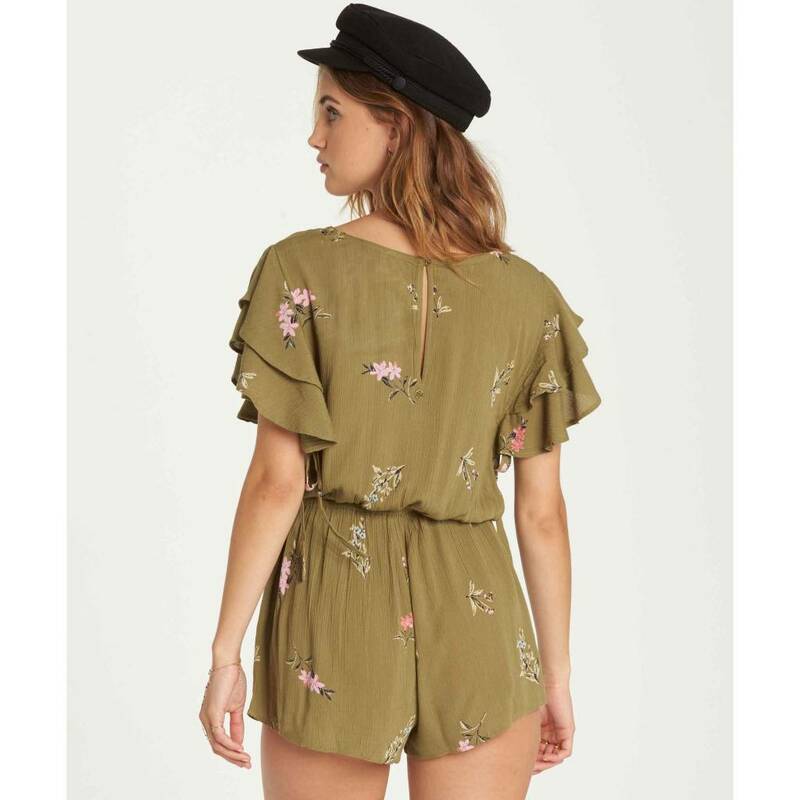 The woven floral romper is finished with elastic at the natural waist and ties at the side bust. 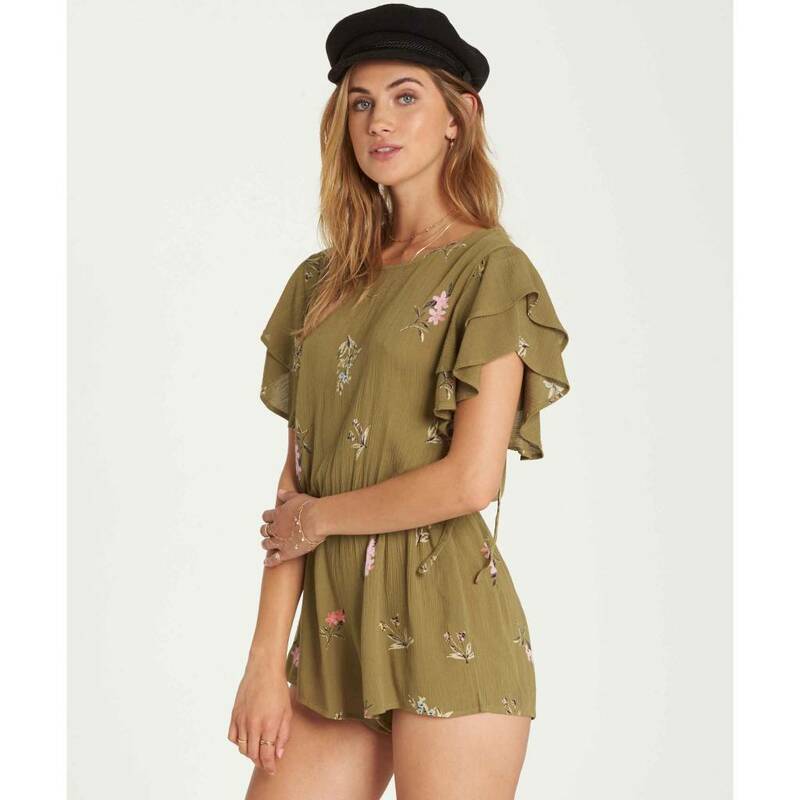 Maja is wearing Avocado in size M.